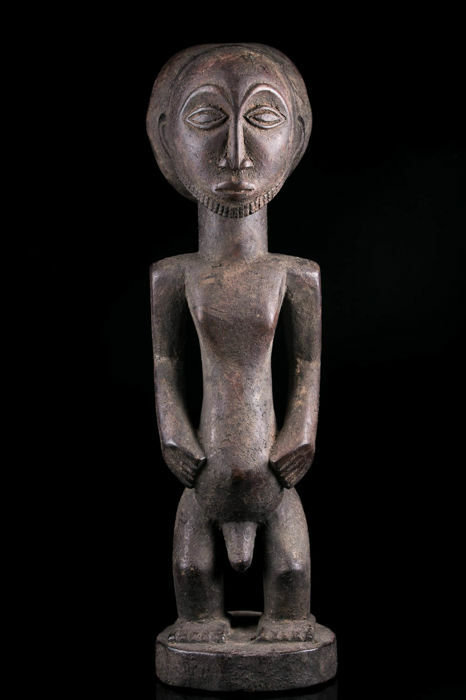 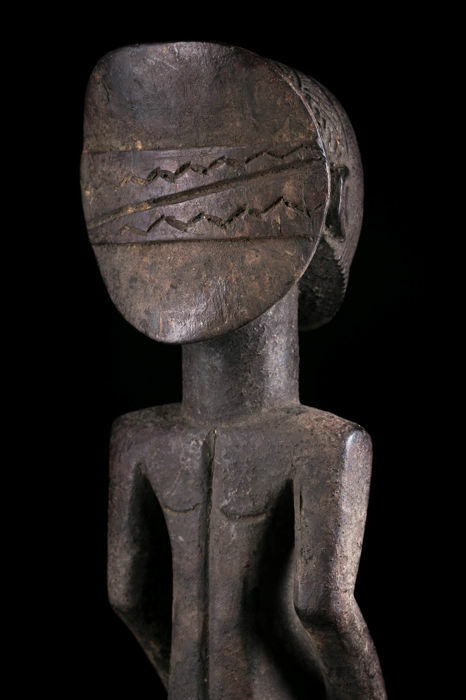 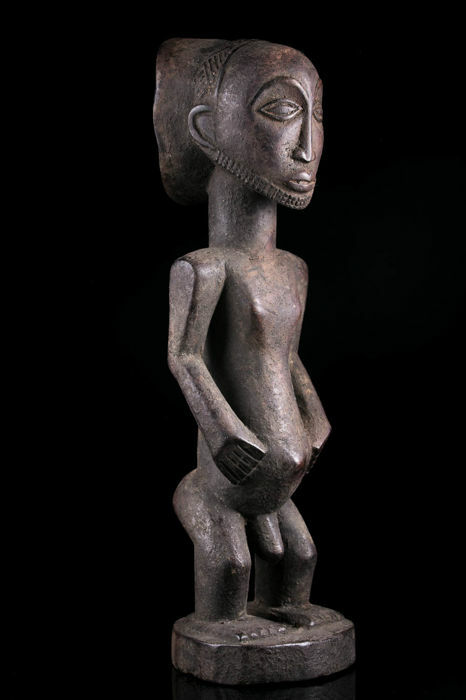 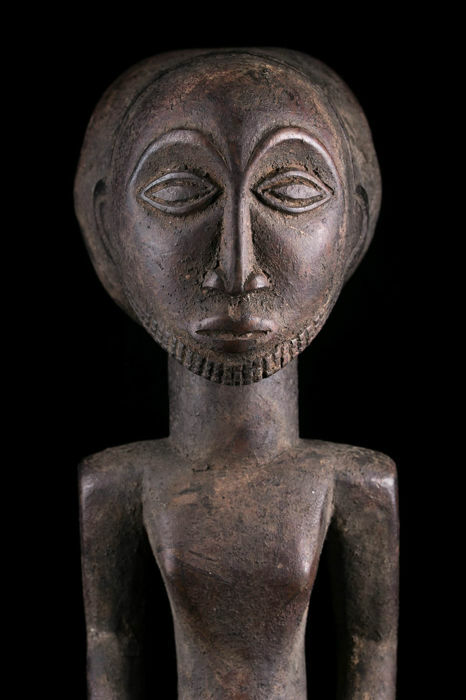 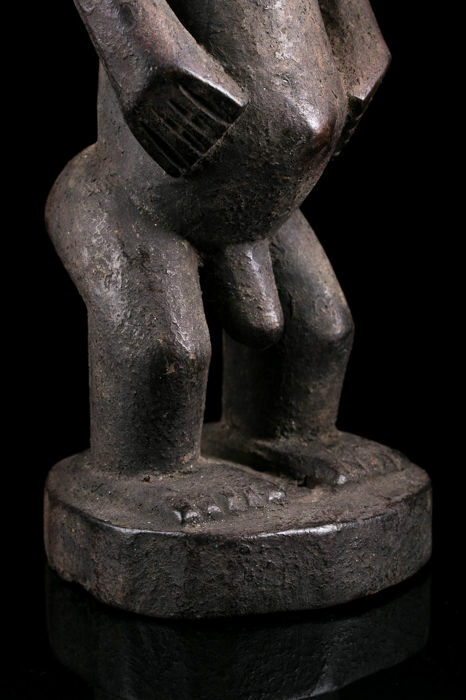 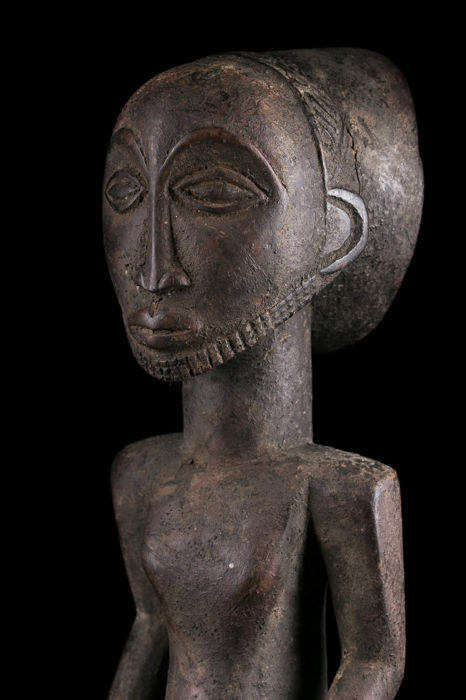 Provenance : private collection of African art, Belgium. 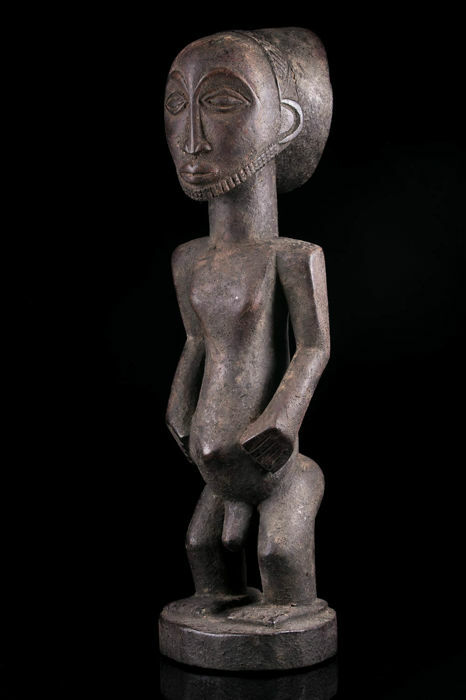 Estimated age : around 1950. 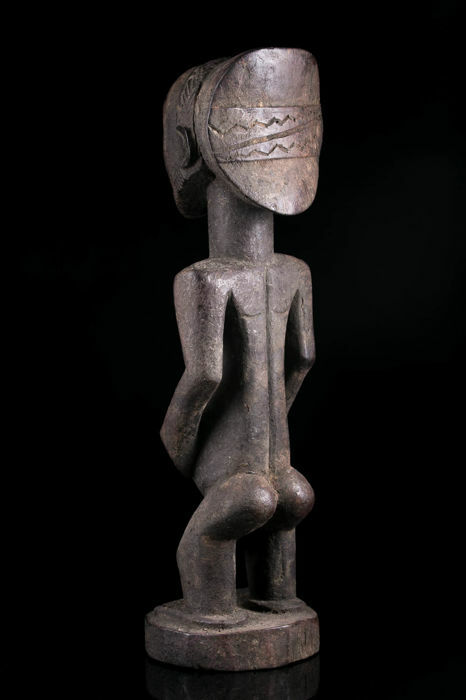 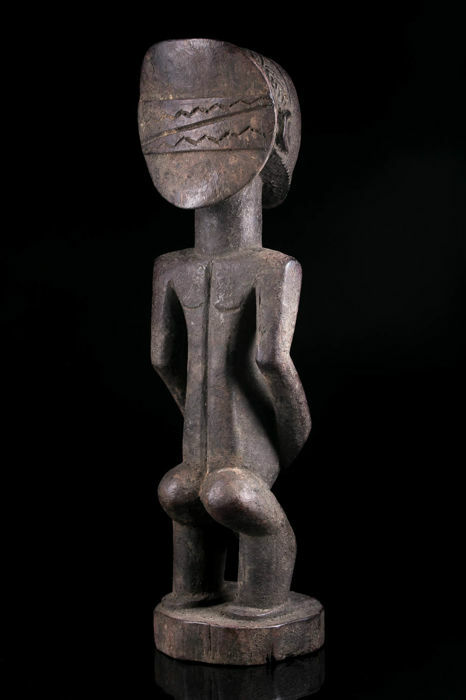 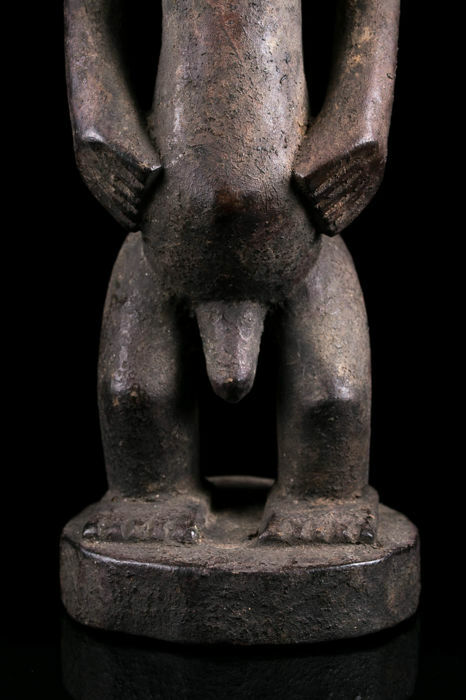 Hemba art, which originates from territories that have been banned for a long time, was little known in the West, until its triumphal appearance in collections in the early 1970s. 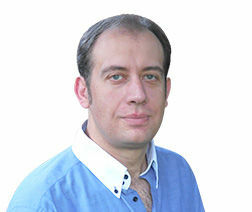 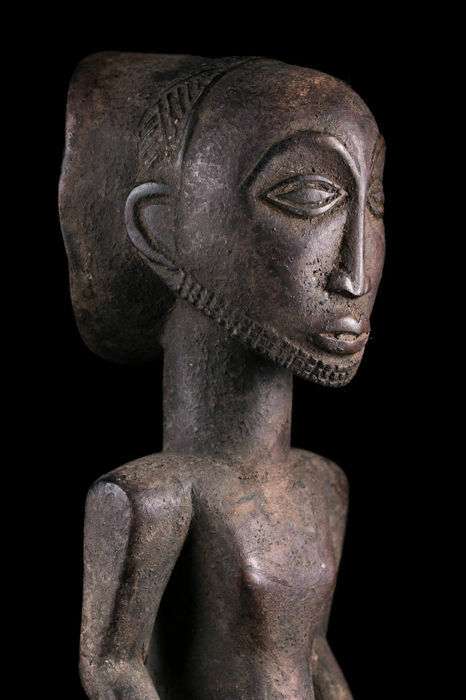 This statuary includes artworks of an exceptional artistic value. 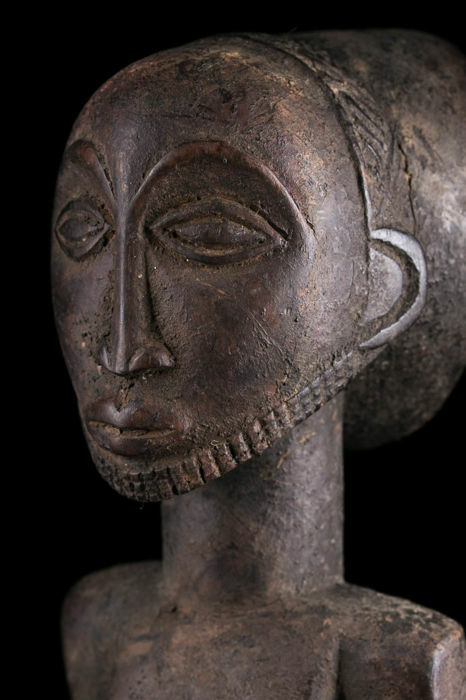 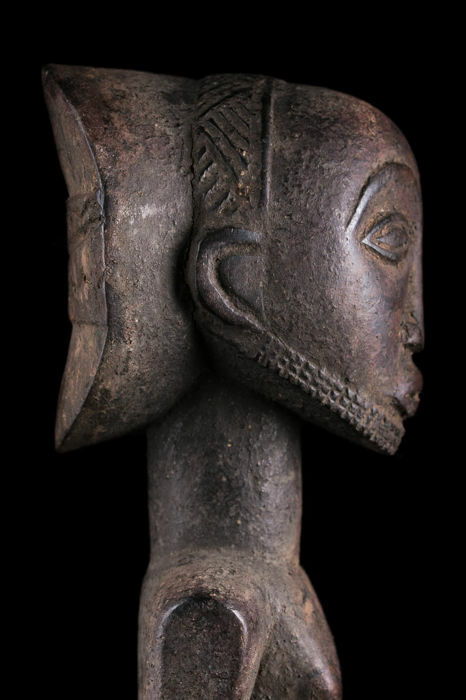 Commemorative statuettes are part of the great classics of African art. 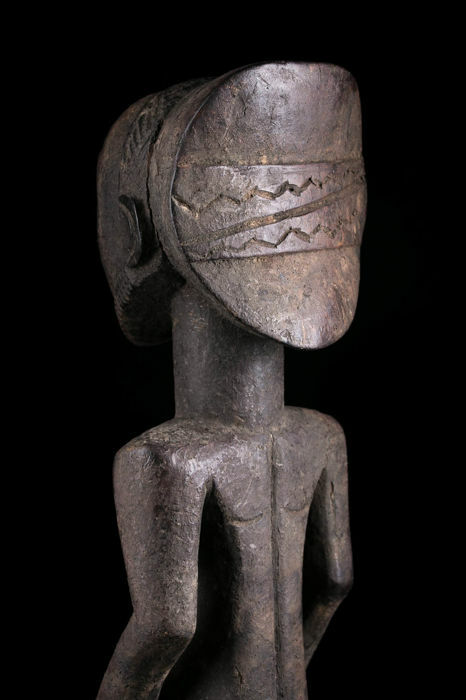 Among the Hemba, the cult of the ancestors takes precedence over other values of the society, we can note this priority on this sculpture. 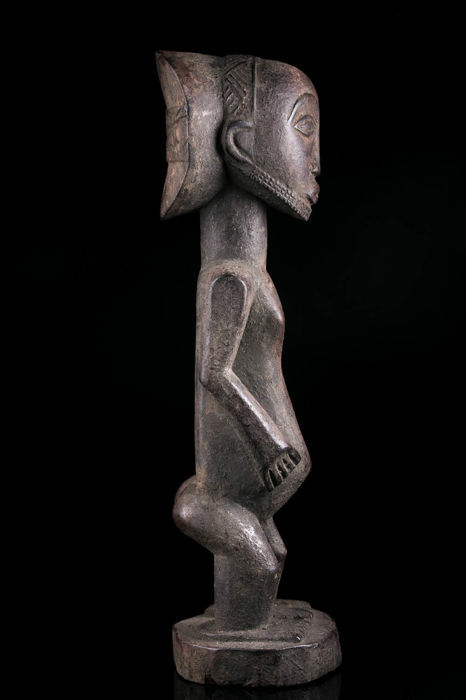 Artists, often gathered in workshops, carve the figures of their ancestors. 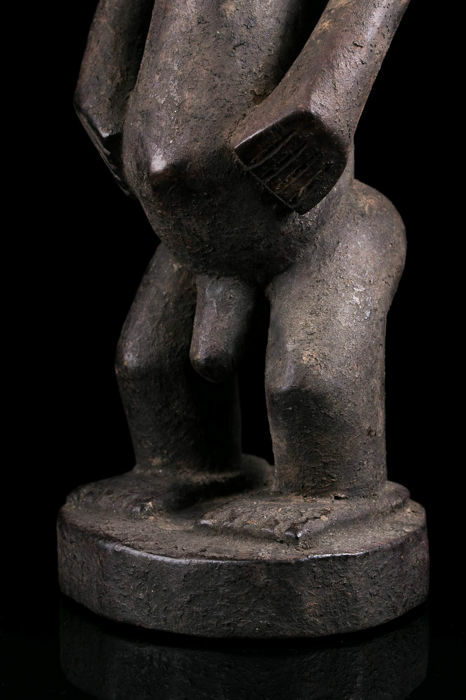 These figures are ritually present during clan ceremonies. 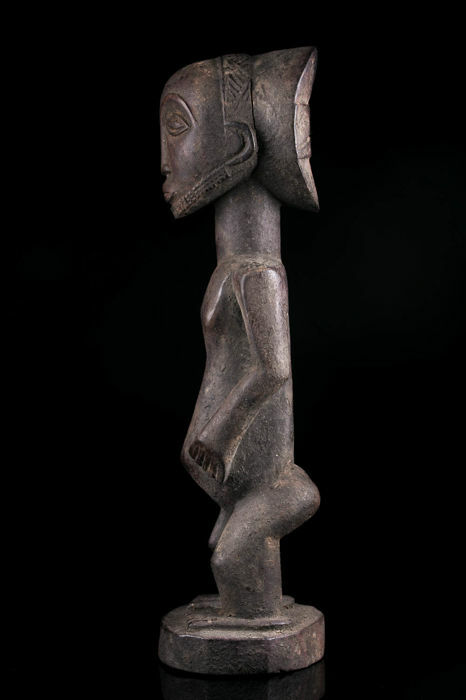 This figurine of a nice quality is often highlighted by a wonderful patina. 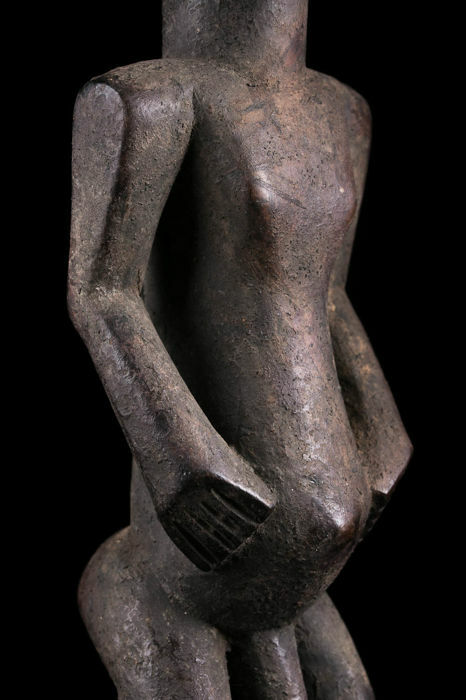 Originally, the Hemba art was linked to the Luba style, but since awhile, it is recognised for its own qualities, as a distinct style.